He said he was surprised. But possibly he was the only one. Lewis Hamilton claimed a decisive pole position for today's Canadian Grand Prix and at no point did it feel like a shock. Almost from the first moment wheels turned on the Île Notre-Dame this weekend it was clear that the Mercedes power unit was the thing to have. And of course chief among them were those in the works cars. Then we have Lewis himself, for whom the Montreal track is the happiest of hunting grounds. It all had a nice symmetry to it also. It was pole number 44 of Lewis's career for car number 44, also here where in addition to his strong record he also took his first F1 pole and win eight years ago. It's pole number six for him from seven rounds this season too. Some things just seem to have their own inevitability. Not that we should forget where we are. 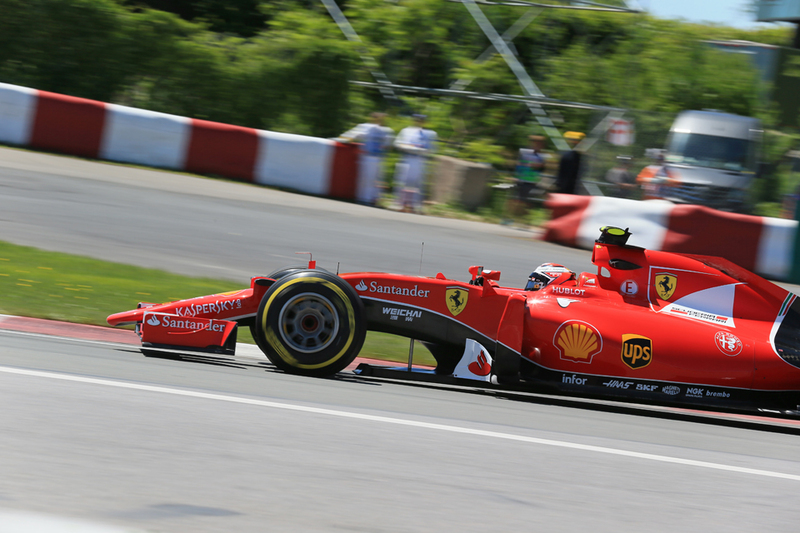 The Circuit Gilles Villeneuve, almost the sport's equivalent of the Bermuda Triangle. Where things are bound to happen. And in advance of yesterday's qualifying session they happened to Lewis. Almost unbelievably he finished up in the Saturday morning practice session bottom of the pile and close to six seconds off the pace, which was a consequence of on both of his runs flat-spotting the tyres under braking in the cooler temperatures and having abandon the run. This meant that he could not at all refine his set-up or approach from Friday going into the qualifying hour. "I even surprised myself really just how quickly I got back to it" he said later. 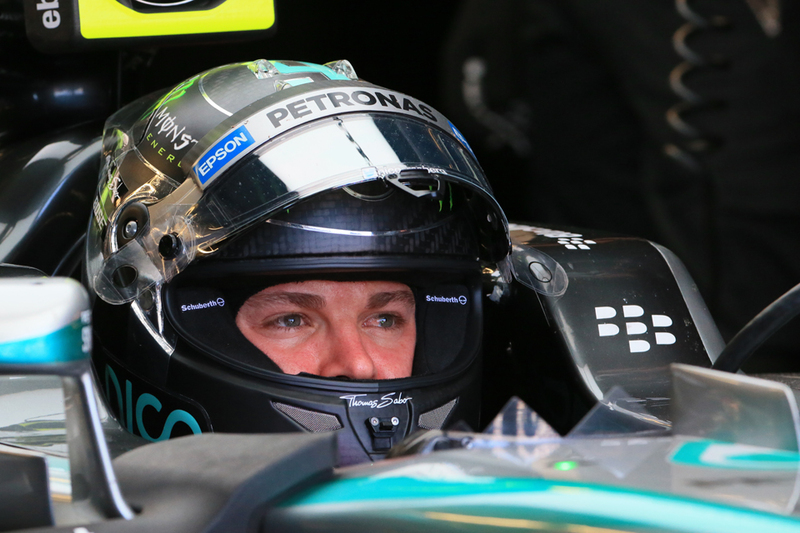 "We did a longer first run in Q1 which enabled me to get back onto it. And it was relatively easy to be honest." Ah, now we're getting closer to how it appeared to the rest of us. 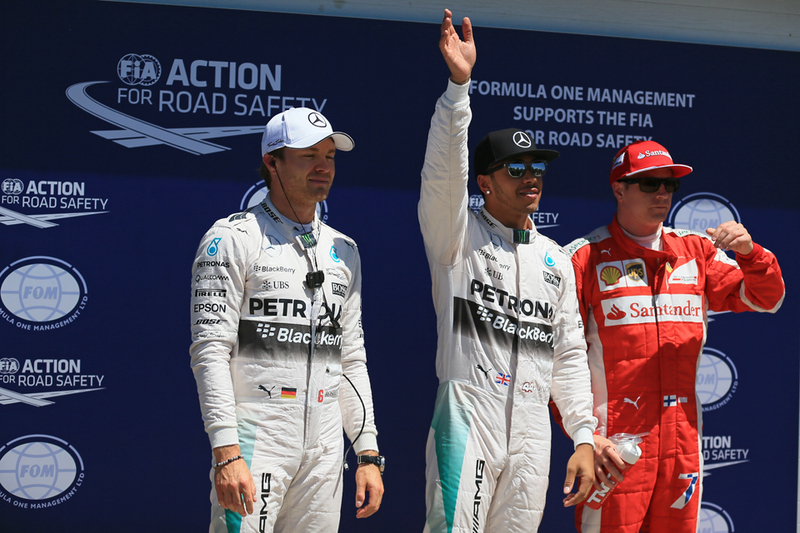 Almost immediately indeed in the qualifying session Lewis was markedly the quickest out there. There was a tiny doubt when in his first Q3 effort he lost two tenths to his team mate Nico Rosberg in sector one, a consequence apparently of some snap oversteer, but by the end of the lap he'd taken that back and more and was under Rosberg's time by a clear three tenths. The next time around Lewis claimed the lost sector one time back thanks very much and shaved 0.177 off his previous mark. Nico didn't improve (more of that anon) and that was that. Ferrari some thought, with a much-vaunted engine upgrade, might be able to do something. But if silver supremacy in qualifying looked extremely likely in advance once Sebastian Vettel had fallen out of things early, it was certain. Vettel having appeared as normal in Q1 disappeared almost as quickly, due to electrical problems. He reemerged late in that session but seemingly in desperation as the car was far from healed. Two last-gasp efforts didn't really get him close to making Q2. It got worse for him too as an additional five-place grid drop awaited him for overtaking Roberto Merhi under red flags in the morning practice session. Vettel claimed the Manor was going especially slowly but those that saw the footage thought not. It seemed an extraordinary oversight by Seb whatever was the case, given many reckon he is possessed of the finest brain in the sport. 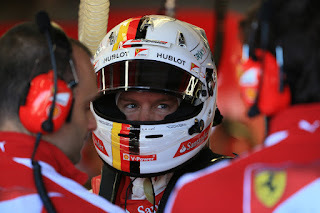 Seb while downbeat at it all still was hopeful of progress in the race from starting in eighteenth. "We have plenty of tyres and anything can happen" he said. "We have a strong car and a strong pace, so I should be able to score good points." This meant that for Lewis his team mate Rosberg was the only credible challenger and while he as ever kept him honest, occasionally pipping him, in the end he rather presented his team mate with a gaping net. Not that he needed it. His first set of tyres used in Q3 he said were 'bad', offering little rear grip. And while his team recommended initially that he keep the set-up as it is on the basis the next set would be better Nico reckoned that would be "just guesswork, I had to adapt the car", and took front wing off accordingly. Next time out sure enough the tyres were back as normal and Nico's car now understeered due to the bum steer set-up change. He didn't improve his time on his second effort ("It was a good lap, just slow" he said) and indeed at no point of Q3 improved on his Q2 time. He admitted afterwards to "chasing your tail" on the matter. "It's amazing how it goes" he rued. There are these tiny things in the end that make such a big difference. Today it got me, another time it'll be another driver. Everything just has to come together to get pole position in F1, it's such a fine line". "The race is tomorrow, so still some good chances" he added. "Here it's possible to overtake, so it's not all over yet." "There could be some surprises". Both Hamilton and Merc boss Toto Wolff admitted to being pleasantly surprised by the gap to the red cars, which they expected to be around two tenths when in fact it was upwards of three times that. Still, as Wolff cautioned, with Vettel sitting it out in effect Ferrari likely hadn't quite shown the full content of its hand. Kimi Raikkonen in the other Ferrari self-admittedly now is struggling in qualifying, but there was enough of a gap between the Mercedes and the rest for him to just slot himself into, for a P3 start. It's his best Saturday result of the season and as the man himself outlined afterwards there are a few reasons not to count him out for tomorrow. "Tomorrow is the race, usually we are a bit stronger there. "So we have to make a good start and go from there and see what comes out. There's still quite a bit of work to be done as a team to be exactly where we want to be - in the front. But y'know, it's one of those days. You're not happy but in a way it's been better than in the past. "We can only do our best and we will see in the race, obviously, what will happen but we were pretty OK in the long runs so I feel fine with it. But obviously the race is a different story and yes, we have all the Mercedes cars in front of us but it shows something, that we are doing something right to get there. But there's still work to be done. Who knows? We will try to beat all of them and see what happens." 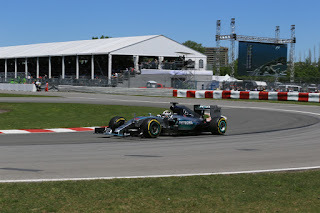 As mentioned Montreal this weekend was Mercedes country and this was underlined by seven of the top ten in the qualifying order being so powered. Indeed likely all of them would have made it but for Felipe Massa also having to bow out in Q1, in his case with a lack of engine power, a consequence of a loose fixing in the wastegate. 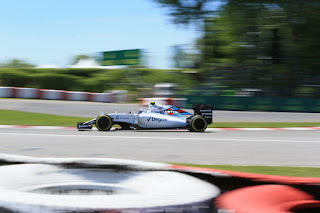 Valtteri Bottas's Williams was best of the rest in P4, under a tenth over Kimi's best, while the two Lotuses were next up and also close at hand, with Romain Grosjean ahead. Grosjean indeed thought that third place may have been possible but for a strange team mix-up which led to both Lotus cars being released from the garage at almost precisely the same moment for their final runs, to the point almost of tripping over each other. "It was just a misunderstanding between the two timing going out of the garage" said Grosjean later. "It didn't help the preparation of the last lap. I thought I could take the slipstream from Pastor but I was too far [away] at the start of the lap. [With] perfect preparation, perfection slipstream, because you can easily gain a tenth on the back straight, I could have probably been P3." Nico Hulkenberg in the Force India was next up in P7, very happy that there was nothing left on the table in his best lap, while his team mate Sergio Perez was tenth and he rued that he couldn't replicate his Q2 pace, which would have been good enough for P8. The Silverstone team often shows up well here. In between them we had the Red Bulls and both of its drivers were jarringly frank later about the team's current woes. Daniel Ricciardo indeed painted the picture of a team rather lost, that it doesn't have a grasp of how to improve the car at the moment and that various recent upgrades hadn't worked. It's all a long way from the Milton Keynes team's recent pomp, when everything it did seemed to show up on the stopwatch pretty much immediately. Another under fire was Honda, when just a day after its motorsport boss Yasuhisa Arai had spoken with great optimism about the developed unit it had brought here it had the ignominy of Jenson Button sitting qualifying out thanks to an engine change while Fernando Alonso with a change of his own didn't appear in Q3 until late and only managed three laps. Arai had to bat away rather searching questions later. He still insists that matters will become more conspicuously good in the second half of the year. Of course the matter of who is to be at the front right now has a lot less of whistling in the dark about it. Even here. Especially here. 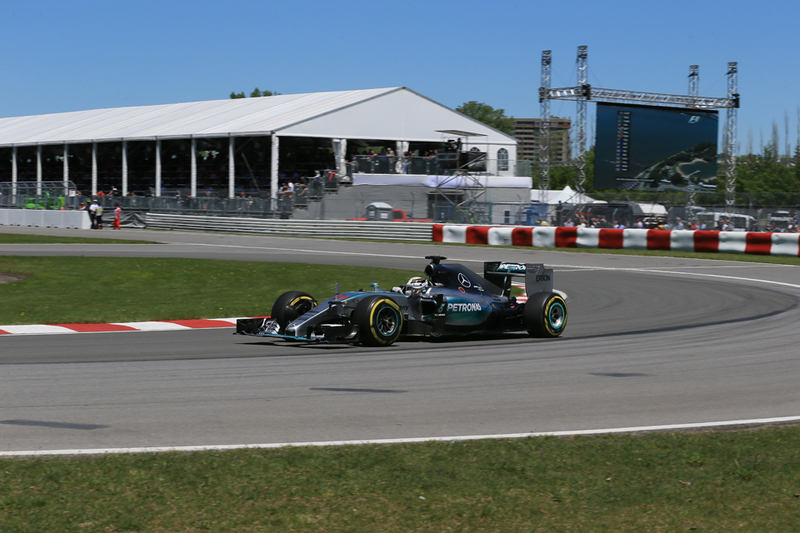 We know what they say about races at Montreal, but you suspect it'll have to do its worst and more for Lewis Hamilton to be deprived of victory today.